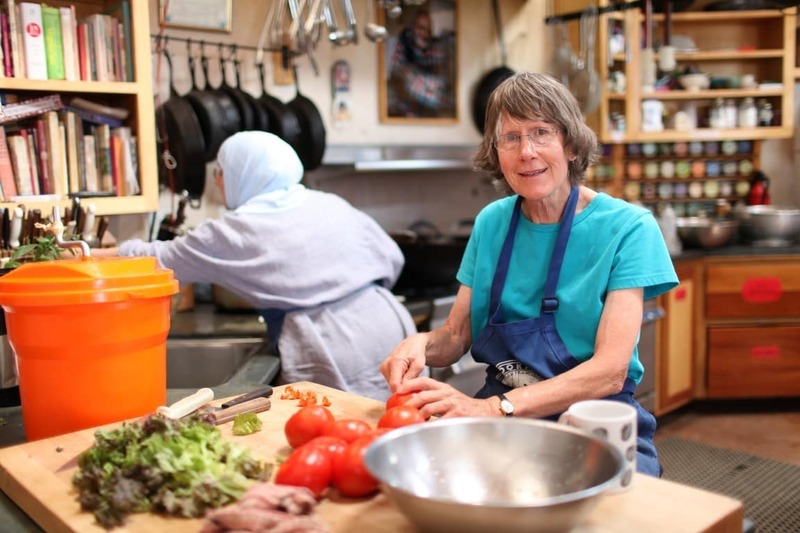 Our foundation is heart-felt service – to those who come to the Mountain as visitors, hermits, retreatants; and to the surrounding and world communities through education, healing and prayer. Every member of the community contributes 30 hours of service (seva) per week and participates in regular community meetings. See the Daily/Weekly Schedule for more details. Equally important is personal time: the opportunity to re-create ourselves through friendship, solitude, meditation, worship and outdoor activities. Each of us contributes to the cooking, cleaning and other daily needs of the Foundation. Additional service is focalized through “circles of caring” – opportunities to share or develop skills in flag production, land care, natural building, kitchen management, care of hermits and hermitages, registration of retreatants, child care, and so forth. Stewards may oversee projects or assume guardianships based on their own interests and skills. In addition to two regular days off per week, stewards receive one day of vacation per month of service. Those who are part of the four-month community of summer, from June through September, receive six days of vacation to be taken before Closing Day.